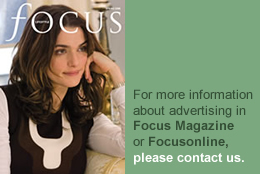 Article from FOCUS Magazine – Winter 13 issue. London’s Mayfair is renowned for magnificent properties, excellent restaurants and top class hotels. In January this year, a tremendous new addition popped up to great acclaim at the London Marriott Hotel Grosvenor Square and is returning for four days from Thursday 9 to Sunday 12 January 2014. The Mayfair Antiques & Fine Art Fair is organised by The Antiques Dealers Fair Limited, the company responsible for the annual Esher Hall Antiques & Fine Art Fair run at Sandown Park Racecourse for the last six years. This second Mayfair Antiques & Fine Art Fair is run in association with international property specialists Wetherell and this year Belgravia fine wine merchants Jeroboams are supporting the event. People heading to this event can expect to find superior antique and designer jewellery, clocks and vintage watches, silver, Art Deco pieces, fine antique and country furniture, Oriental and European textiles and carpets, oil and watercolour paintings, contemporary and antique sculptures, original book illustrations, ceramics and British art pottery, old maps and prints, antique boxes, glass, antiquarian books and objets d’art. 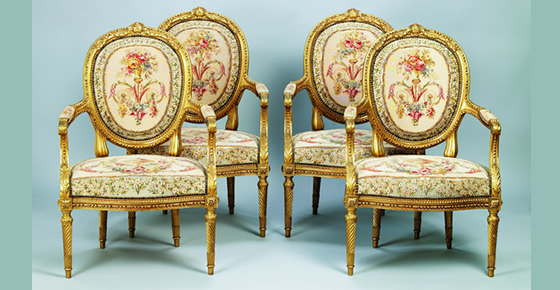 Amongst the glamorous antiques from fair newcomers Mayfair Gallery is a carved giltwood and tapestry salon suite, comprising a canapé and four fauteuils in Louis XVI style, by Gustave-Frédéric Quignon, Paris, c1880, priced at £45,000. Other first-time exhibitors Mayflower Antiques specialises exclusively in 16th and 17th century European silver, glass and metalwork and Wimpole Antiques brings wearable period jewellery dating from 1790. A highlight on Wimpole Antiques’ stand is an Art Deco diamond and ruby bracelet by Oscar Heyman, the only American jeweller to design for Cartier. Jewellery is always a draw and there is plenty to savour including a delightful Peking glass flower brooch set in platinum, POA, and a fancy yellow cut diamond ring, £48,000 from Anthea AG Antiques. 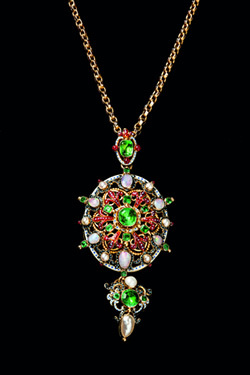 T Robert’s selection of antique jewellery and objets d’art includes an 18ct gold Holbeinesque emerald, enamel and multi-gem set pendant, c1870, £8,850. Purveyor of vintage watches, Anthony Green Antiques has an extremely rare handsome 1943 Patek Philippe gentleman’s wristwatch in rose gold, priced at £25,000. Exquisite textiles can be found on Marilyn Garrow Fine Textile Art’s stand and also from German dealers Galerie Arabesque, who are also bringing Oriental sculpture and objets d’art, including a Chinese writing table showing carved dragon spandrels with the curlicues and elongated shapes that have been used in Chinese art from early times. The table was used by a scholar, a highly respected profession in China, and bears the marks resulting from writing and sealing letters, £4,500. 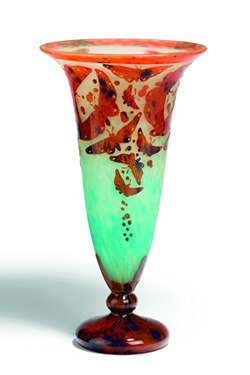 Hickmet Fine Arts has a fine selection of sculpture, objets d’art and glass, including a Japanese ivory netsuke, depicting the Chinese years of animals, c1890, £2,295 and an Art Deco signed La Verre Français butterfly cameo vase, 35cm high, French, c1925, £4,450. A large Bohemian glass tankard, beautifully engraved with ‘The Last Supper’ and annotated ‘zum Andenhen an Franz Deichmann’ is selling for £1,280 from Mark J West. For those who entertain large numbers of people, Walton House Antiques has a superb set of 20 William IV satinbirch armchairs, c1835, priced at £22,000. Oak specialist Peter Bunting is bringing a Continental early carved two-door cupboard, c1570, selling for £6,500. Art Deco furniture and objects can be found from Gazelles of Lyndhurst and from Jeroen Markies, including a pair of 62cm high Art Deco uplighters in chromed metal with tulip shade, glass ball stems on black wooden square bases, £2,250 the pair. Inspired by the location of the fair, Angelika CJ Friebe Ltd is bringing a vue d’optique of Grosvenor Square, originally developed in France and popular with collectors during the 18th and 19th centuries. This original hand coloured copper engraving Vue de la Place de Grosvenor à Londres was published in England in 1766, and is selling for £450 (framed). Keeping with the London theme, Peter Bunting has a gesso on canvas showing a London scene, Lambeth Palace on the River, English, c1800, and priced at £3,500. One of London’s most stylish hotels, The London Marriott Hotel Grosvenor Square is situated in the heart of Mayfair, just minutes from the West End’s shopping streets and Park Lane. Light refreshments can be found in the fair’s foyer and upstairs Gordon Ramsay’s two restaurants maze and maze Grill offer fine dining and New York grill inspired food.